With her slogan ‘Pain is temporary, quitting is permanent’, swimmer Claire Cashmore sums herself up as an incredibly inspired and inspiring sportsperson which is why she is proving to be incredibly popular as an Olympic speaker. Bursting on to the athletics scene at just 16 years old, Claire has appeared in three Paralympics – in 2004, 2008 and 2012 – and swum her way to four bronze medals and two silver in the 100m breaststroke, 100m backstroke, individual medley, freestyle relay and medley relay. In the World Championships long course, Claire has won five silvers (two in 2006 and three in 2010) while in the World Championships short course in 2009 the Olympic speaker won two silver and two gold medals. 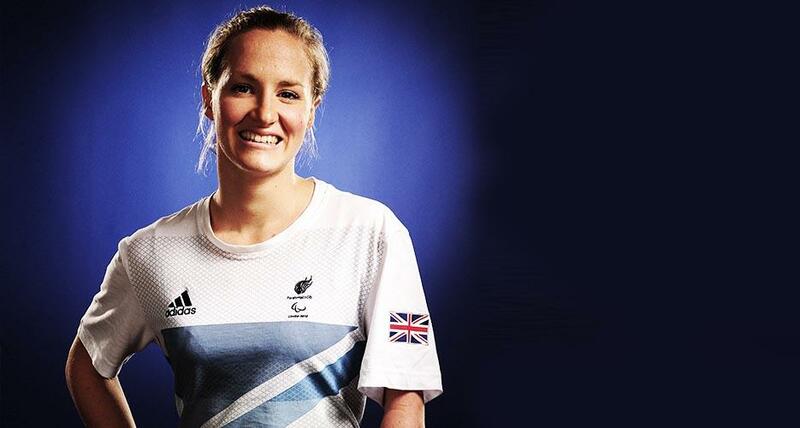 Born without a left forearm, which she often jokes was bitten off in a shark attack, Claire Cashmore regularly shares her experience with corporate organisations, schools, and swimming clubs. She can often be found doing speech days, swimming sessions, motivational talks, awards ceremonies, interviews and question and answer sessions. Claire is passionate about sport for people with disabilities and uses her achievements to help motivate children and adults who might see a disability as something that could hold them back. To book Paralympic speaker, Claire Cashmore, for your corporate event, function or conference, simply contact the Champions Olympic Speakers agency by filling in our online form. Alternatively, call a booking agent directly on +44 1509 85 29 27.